The Ghirxi triplets are Roberta, Michele and Daniela. 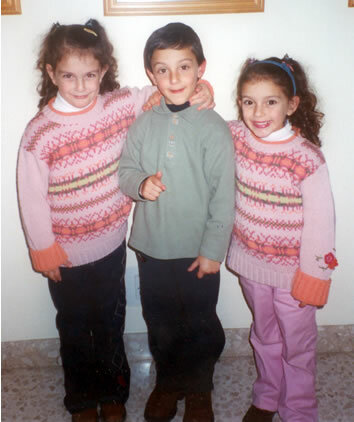 They were born on 25th June 1997 at 35 weeks and weighed accordingly Roberta 2.3 Kg, Michele 2.4Kg and Daniela 2 Kg. They came out of hospital after 10 days.